Long ago, there was Nicotiana Rustica which the Asian natives of the New World smoked in various forms. It had a taste like burnt squash when smoked and a potent blast of Nicotine. The Caucasian newcomers began to experiment with different cultivars of Nicotiana, and eventually settled on using Nicotiana Tabacum, a domesticated version from South America. This new variety then splintered into many specific cultivars, which are like ethnic groups of tobacco. The sweet Virginia variety and more Rustica-like Burley form the basis of most blends, with condimental varieties used to flavor the mix like Latakia, Turkish/Orientals, Dark Fired and Perique. In each of these cases, the variety indicates both a cultivar and method of growing and curing. Most tobacco blends start with either Virginia, Burley or in the case of the most successful, both. A 3:2 ration of the stronger-flavored Virginia and the Burley which absorbs and broadens flavor brings out the best in each leaf, and so many blenders begin with this and add other varieties as appropriate. However, this basic mixture remains one of the perennial blends. Most recognize this as an American style blend. Pipe smokers in North America used to enjoy the “half and half” blends, but these used more Burley than the less affordable Virginias. These were popular because Burley burns cool and slowly, and Virginia makes it sweet, and with Burley “taking on” that flavor as it tends to do, being a chameleon leaf, the result has the benefits of both. The staid and storied English blending house of Gawith, Hoggarth & Co. took on this classic American blend and have made a solid version of it. Smooth, mild and cool burning, it provides a comfortable all-day smoke for someone who wants a sweet blend without the excesses of too much Virginia or condimental tobaccos. On first light, the smoker tastes the honey and hay flavors of the Virginias, but this quickly gives way to a mellower and broader flavor as the sugars melt and the Burley roasts. Aided by a slight amount of tonquin or another vanilla-like topping, this blend then produces a constant stream of gentle flavor like oatmeal with honey and molasses, burning evenly and eventually reducing to the fine grey ash of lore. Burley and Bright compares well to another one of the “eternal” blend types which is the Dutch style found in Peter Stokkebye’s Amsterdam and commonly-acquired rolling tobacco like Drum halfzware. These tend to combine Dark Fired Kentucky Burley with bright/yellow Virginias for a classic sweet-sour taste. 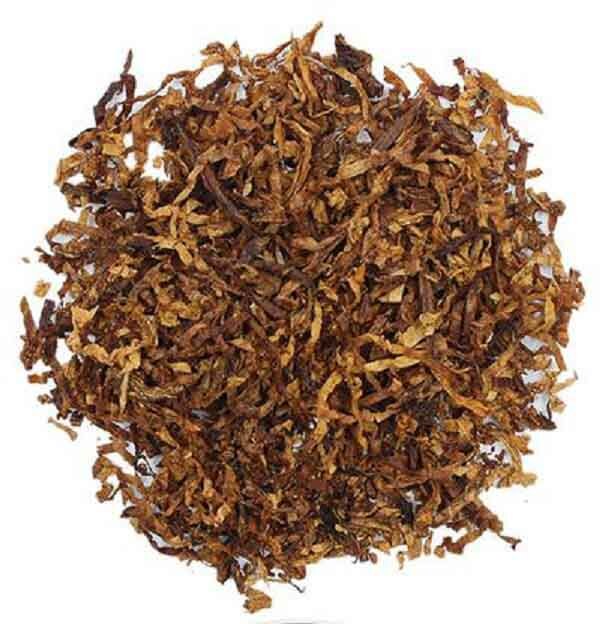 Where the smoked tobacco gives some spice but dominates the flavor profile in those blends, with Burley and Bright, the only flavor is a cured natural leaf taste which is perhaps less exciting but also better suited to long term smoking. With its cool burning, mild, low strength and appealing flavor, this blend makes the perfect all-day smoke. Don’t tell me how to live my life. Raspy Reds forever.